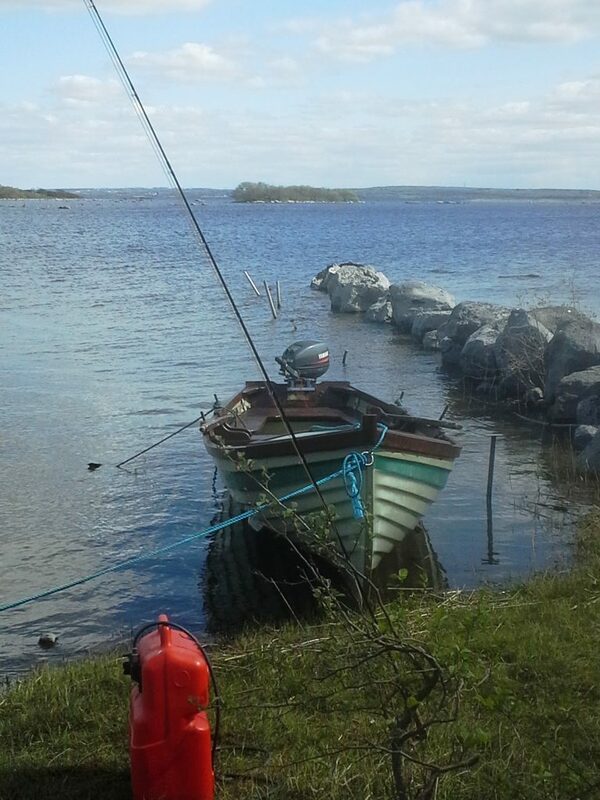 Fish the famous Lough Corrib with an expert guide and boat provided for wild brown trout. 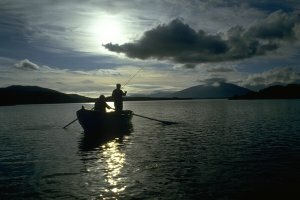 AS a large limestone lough of 44,000 acres with numerous shallows, islands and large expanse of water, to enjoy a day’s angling it is best to employ the service of an angling guide who knows the waters, areas to fish at different time of the year and where it is safe and to avoid getting lost. 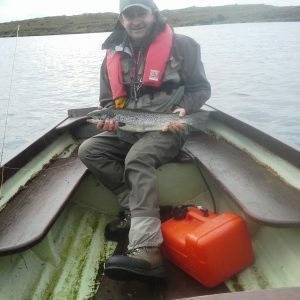 Lough Corrib is open for wild brown trout angling from the 15th February, no state license is required nor is there a fishery charge at present. The first hatch is the Duckfly which appears from around the 17th March and only a few hardy locals are out before this. The hatch can be prolific in certain areas and depending on weather conditions can last for a number of weeks and into April when we start to see olives. The Duchfly can be a difficult time to catch fish as although you will see trout moving around the top of the water sipping up the Duckfly it can be hard to get them to take your artificial and can be easily spooked with a poor cast near them. Into April, the Olives hatches commence and given a warm day, many fish can be seen and heard taking the fly with a splashy rise.Moving on into the month of May we see the start of the hatches of Mayfly and this occurs from early May onwards and will be dependent on weather conditions. A bit of heat will have the fly hatching early in the month. 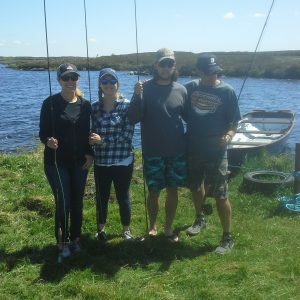 The best hatches are to be found in the mid to upper reaches of the Corrib and alot of angling takes place from centres like Oughterard, Cong Birchall and Greenfields.Large bags of fish were taken in the past and one can choose to use a long dapping rod with the natural Mayfly or a team of wet flies. 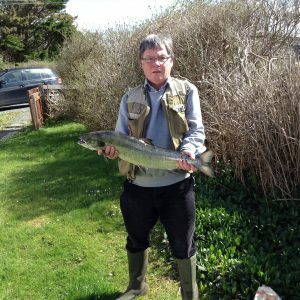 After the excitement of the Mayfly has lessened, dry fly in the months of late May, June and July for early morning or late evening takes over with buzzer fishing the best. 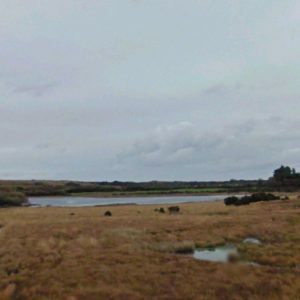 In times past most local anglers would leave the Corrib and head to Connemara for the sea trout fishing but due to the effects of sea based salmon farming and the multitude of lice they produce, the majority of sea trout have been killed off and only South Connemara enjoys some sport. In the months of August and September, the dapping rod is once again used to dap the Daddylonglegs and the cricket when the natural is blown off the land and taken by the trout. September bring the wet fly to the fore and the season closes on the 30th September.